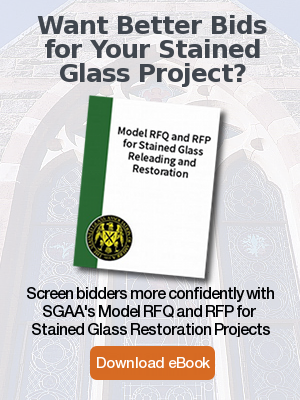 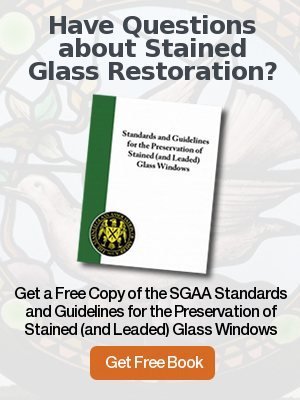 Rohlf’s Studio installed new vented protective glass and completed the restoration of the wood frame for the large altar window at Old St. Patrick’s Cathedral in New York, NY. 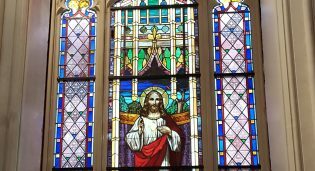 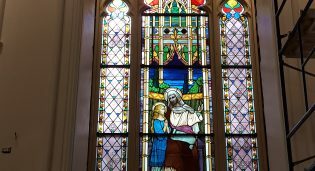 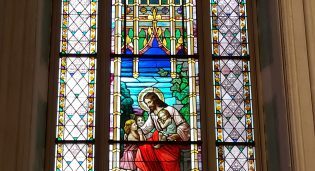 We have recently restored and installed all seventeen stained glass windows. 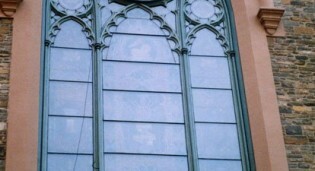 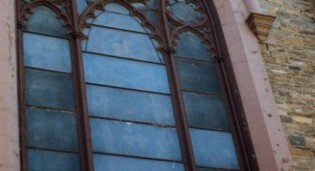 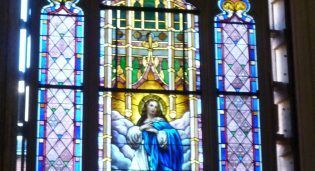 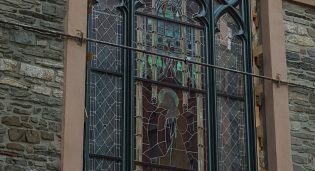 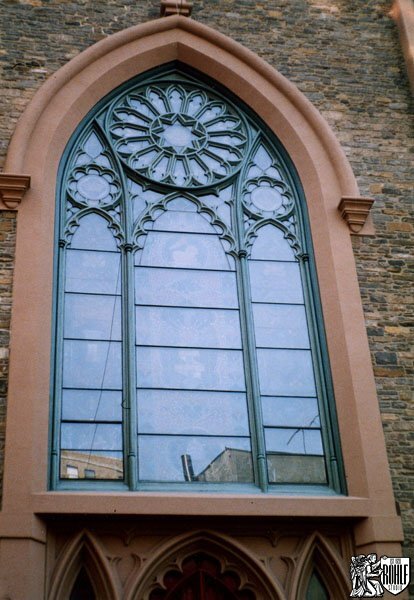 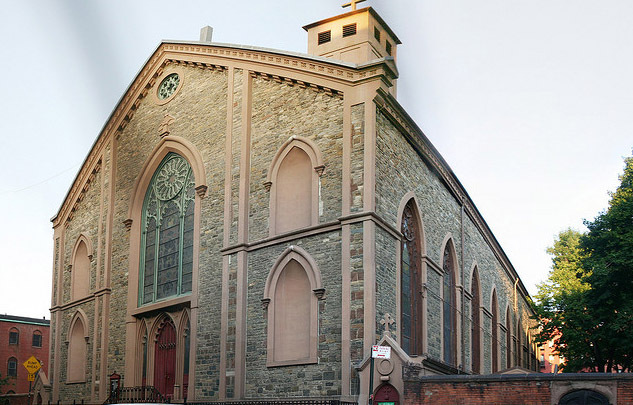 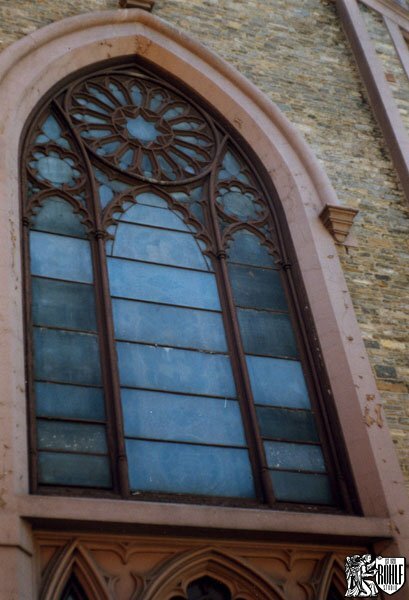 Exterior view of altar window before completion of new vented protective glass & restoration of wood frame by Rohlf's Studio at Old St. Patrick's Cathedral in New York, NY. 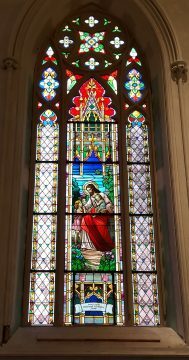 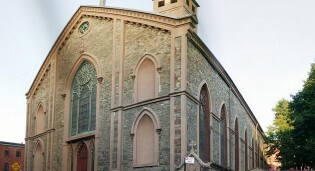 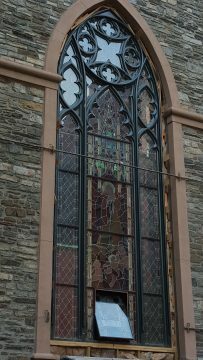 Exterior view of altar window after completion of new vented protective glass & restoration of wood frame by Rohlf's Studio at Old St. Patrick's Cathedral in New York, NY. 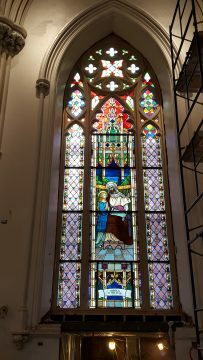 Rohlf's Studio installed new vented protective glass and completed the restoration of the wood frame for the large altar window at Old St. Patrick's Cathedral in New York, NY.